Going way back in the archives for today’s image. Original exposure shot on Ektachrome slide film 20 years ago. This entry was posted on 08/15/2013. 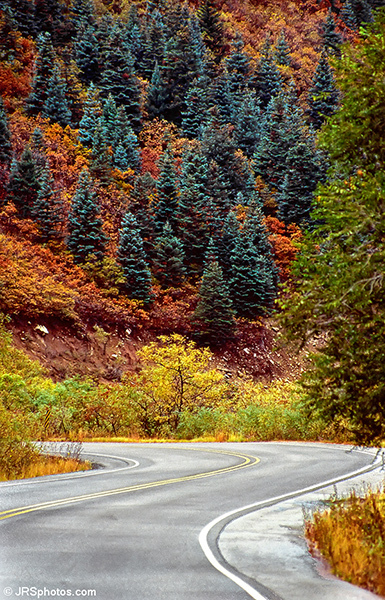 It was filed under Landscape, My guided photo tour and was tagged with autumn, fall, fall colors, mountain, New Mexico, road, Sandia Mountain.